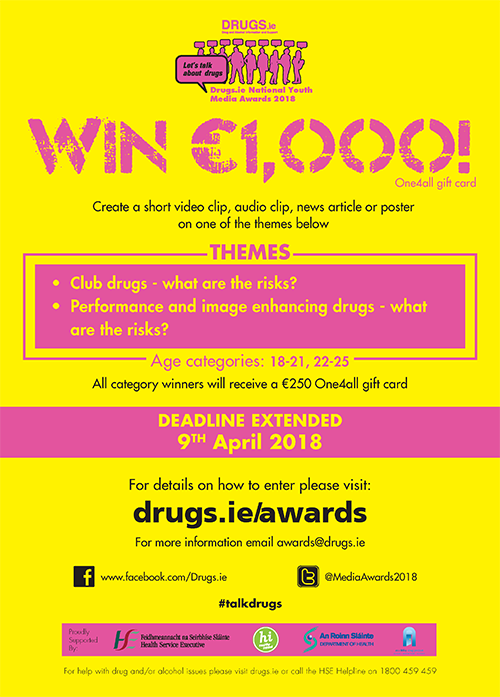 Blathnaid Treacy and Tony Duffin CEO Ana Liffey Drug Project launch the 2018 competition. The deadline for entries to the 2018 Media Awards has been extended to the 9th April 2018. 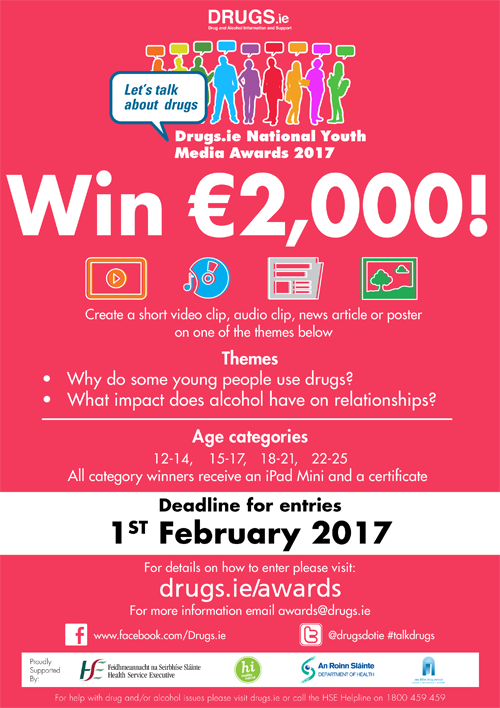 The launch of the Drugs.ie “Let’s Talk about Drugs” National Youth Media Awards Competition 2017 took place on October 3rd 2016 in City Hall, Dublin. Blathnaid Treacy, RTE and students from Dublin at the launch in City Hall, Dublin October 3rd 2016. The deadline for entries for 2017 has been extended to March 1st 2017. 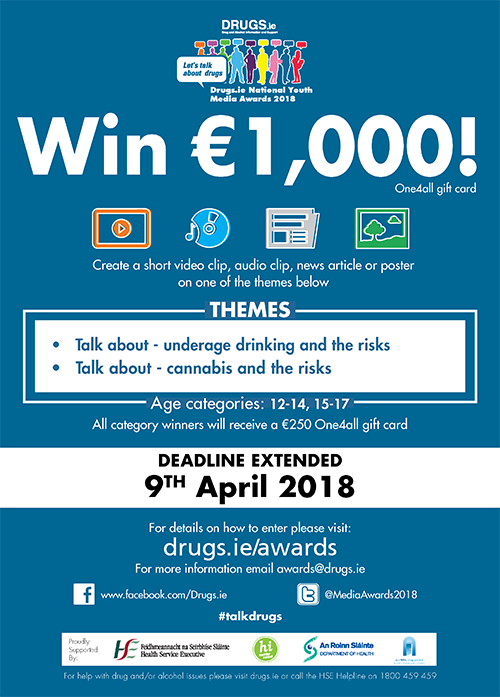 The 2016 'Let's Talk about Drugs' National Youth Media Awards was officially launched on October 9th 2015 @ 2:00pm in the Department of Education Clock Tower Building, Marlborough Street, Dublin 1. Special guest on the day was Miriam O'Callaghan from RTE. 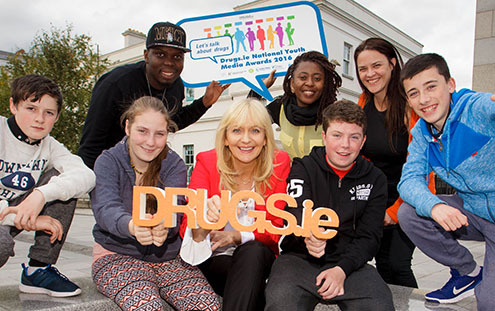 Miriam O'Callaghan, RTE and Blaze Youth Project, Sligo, pictured at the launch. Minister for Health, Leo Varadkar T.D. 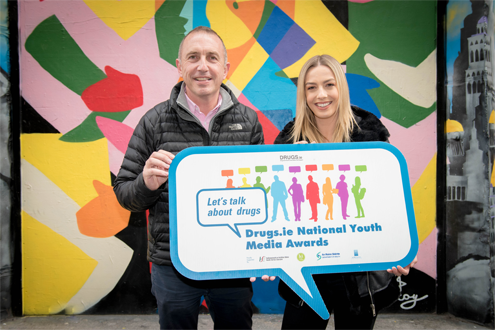 and Nicki Killeen, the Ana Liffey Drug Project, Dublin launching the 'Drugs.ie Let’s Talk about Drugs National Youth Media Awards 2015' in The Department of Health, Dublin. 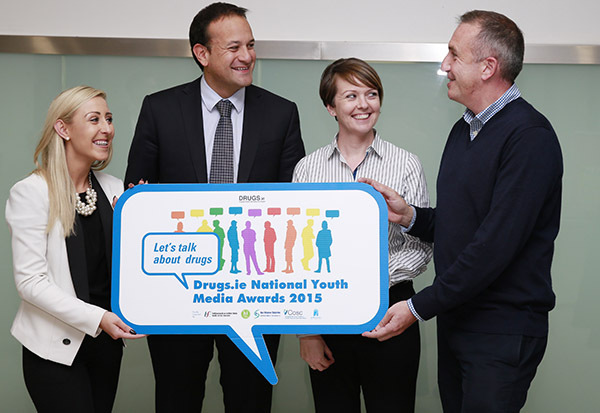 Nicki Killeen, the Ana Liffey Drug Project, Minister for Health, Leo Varadkar T.D., Marie McBride, Department of Health, Tony Duffin, the Ana Liffey Drug Project launching the 'Drugs.ie Let’s Talk about Drugs National Youth Media Awards 2015' in The Department of Health, Dublin. 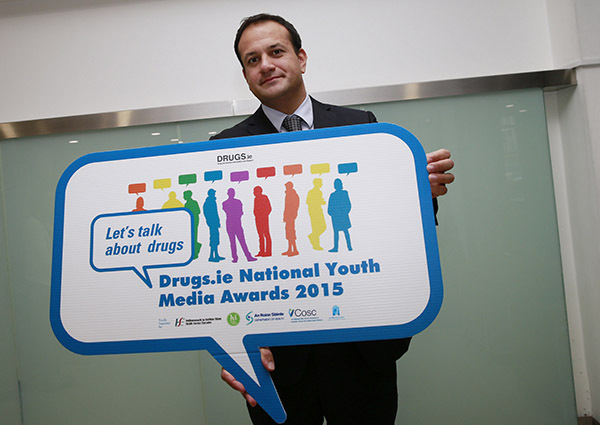 Minister for Health, Leo Varadkar T.D. 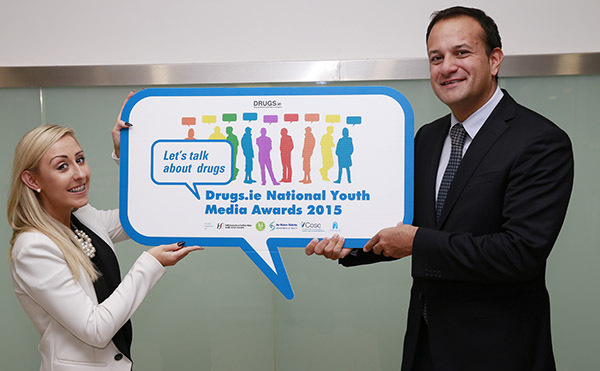 launching the 'Drugs.ie Let’s Talk about Drugs National Youth Media Awards 2015' in The Department of Health, Dublin.